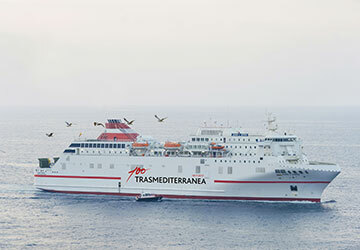 The Nador Almeria ferry route connects Morocco with Spain and is currently operated by 3 ferry companies. 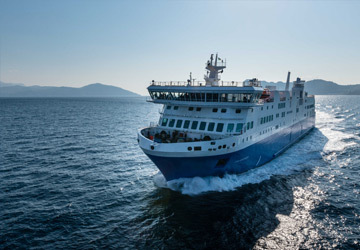 Balearia operate their crossing up to 7 times per week, Trasmediterranea 6 times per week & the Naviera Armas service is available up to 6 times per week. 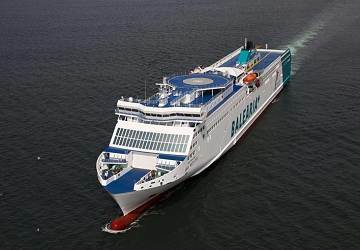 There are a combined 19 sailings available per week on the Nador Almeria crossing between Morocco and Spain and with 3 ferry companies on offer it is advisable to compare all to make sure you get the best fare at the time that you want to travel. Prices shown represent the average one way price paid by our customers. 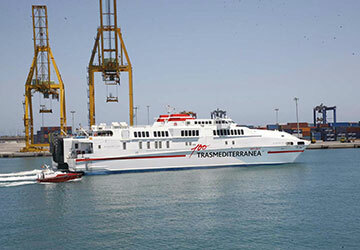 The most common booking on the Nador Almeria route is a car and 2 passengers. We had a cabin without any external opening, with no blanket and no toilet paper. We had to ask for it at the reception. Moreover, the temperature in the cabin was very cold and we couldn't modify it. It's a shame, because it's fairly expensive. 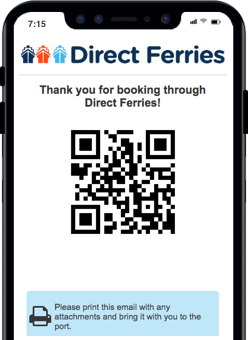 With directferries, it's the quality of the service. Thank you. 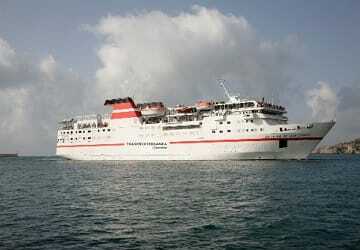 "Best connection to Morocco "
The ship is old and used but not scruffy. Cabins are clean, likewise the toilets, at least at the start of the crossing. 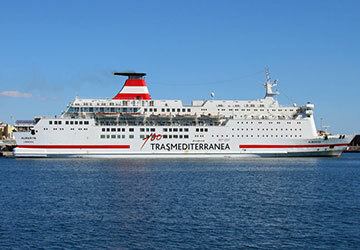 Booking easily, great service during a rebooking that I had to execute "on the road" via Direct Ferries. Easy CheckIn. 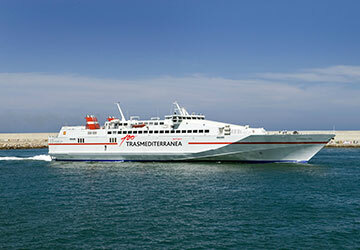 For the seas, Direct Ferries are not to be able to help the rough seas ... ;-) On the return trip also arrive on schedule.